Mauricio Pochettino has delivered his backing to his mentor Marcelo Bielsa amid the extraordinary Leeds United spying storm. Derby County released a statement on their official website on Friday to revealed they are in talks with the Yorkshire giants after uncovering that the man escorted from their training ground on Thursday morning by police for acting suspiciously was an employee of Leeds. Pochettino was quick to take the side of Bielsa and and insisted, as quoted by Evening Standard correspondent Dan Kilpatrick, it “is not a big issue” and claims he would open every one of his training sessions at Tottenham to the public if allowed by the club. The Spurs manager pointed out how it used to be common for Bielsa and all the managers in his native Argentina to host open training sessions for their teams. #thfc Poch says the Leeds spy at Derby 'is not a big issue' & claims he would open every one of his training sessions to the public if the club allowed him to. He adds: "Here it's a bit weird but 30 years ago it happened in Argentina. Not only Marcelo, all the managers." 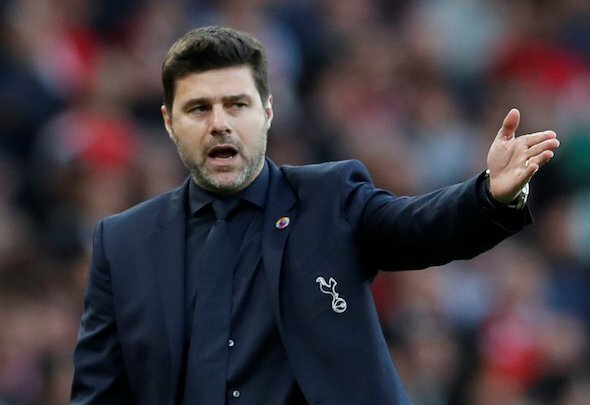 Pochettino has spoken openly in the past for his huge admiration of Bielsa, who brought him through the ranks at Newell’s Old Boys in Rosario before then taking charge of him at international level during his six years as the manager of Argentina. Indeed, the Spurs manager wrote a letter to the FA recommending Bielsa was given a work permit last summer following his shock appointment by Leeds. Pochettino is ever the diplomat and his light-hearted response to today’s controversy makes it clear he regards it as trivial. Yet, Bielsa could find himself in hot water. The manager has made a huge impact in English football by transforming the team that finished 13th in last season’s Championship into league leaders and automatic promotion favourites. The Argentine is renowned as a master of detail who works long and exhausting hours trying to spot a chink in the armour of opponents, but many, notably Derby, will feel he has gone too far this time. It’s hard to imagine the Leeds employee wasn’t at the training ground of their opponents on Friday night without the say-so of Bielsa or one of his coaching staff. Open training sessions were commonplace in a different era, but times move on, and there is no doubt Leeds have been caught red-handed.